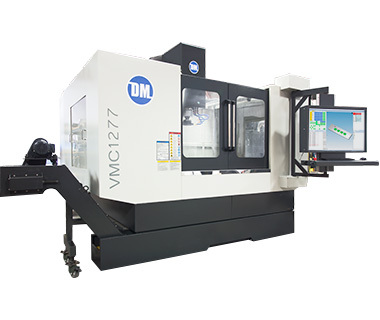 Travels: 24" x 16" x 16"
The DM VMC Series are high-performance vertical machining centers powered by 4C - our PC-based software and control system. 4C seamlessly integrates 3D CAD/CAM/CNC and CMM in one easy-to-learn package - with no outside software. 3D solid model part programming is done right on the machine’s 40" 4K touch display. From prototype to production manufacturing, DM's VMC Series with 4C has you covered. If you can run Win10, you can run 4C. 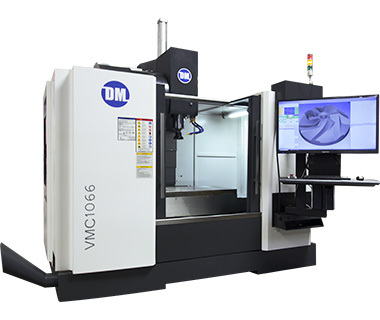 No G-code experience is required, and minimal CAD/CAM experience is needed. You'll be able to cut a simple part on day one of training regardless of your CNC experience level. 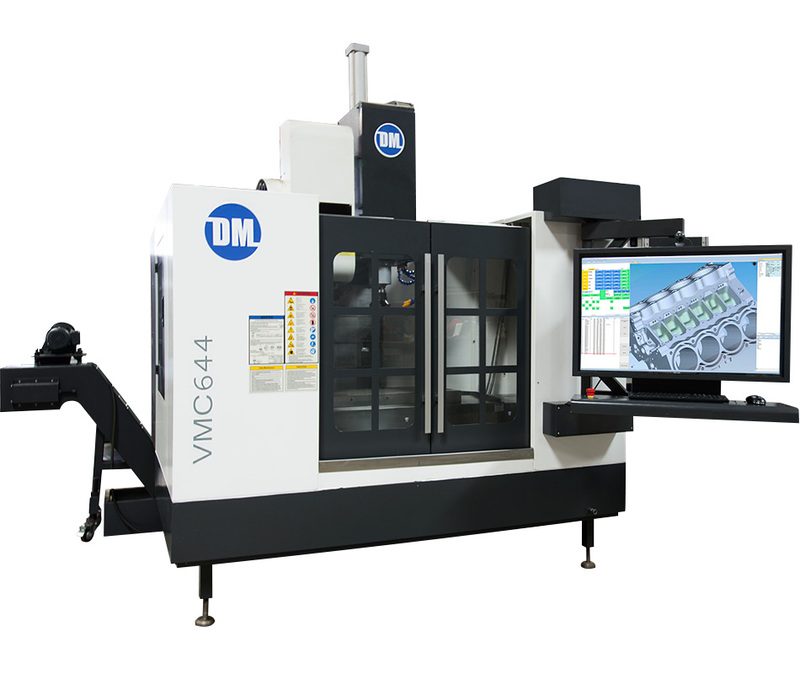 4C increases workflow efficiency because one person can often replace a conventional CAM programmer and CNC operator. Since 4C runs on the machine, changes to toolpaths are done on the shop floor. 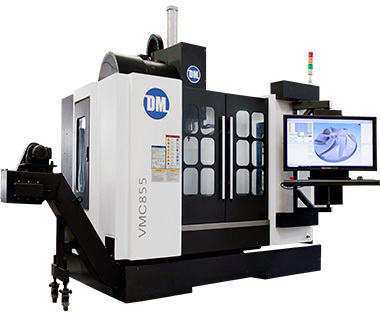 You won’t be walking back and forth between the machine and a CAM workstation (like conventional systems). This means program changes are nearly instant, and leads to learning 4C 5x faster than other CAM programs. You’ll also fine-tune your programs in less time, so you can spend more time making chips. When you buy a DM machine, you’re getting an end-to-end solution. DM supports the entire system (electronics/software/mechanical). You’ll have one point of contact for everything, and can video call or instant message directly from your machine. Internet-based support streamlines remote diagnostics and communication. We can even remotely operate your machine, as if we were right there with you. Please ensure that your machine shop meets the following minimum requirements before placing an order. Electrical: 208-240V, 3Ph power with dedicated disconnect box and appropriate sized breaker (see machine specs). The disconnect box must be within 10ft of the right rear corner of the machine. Our built in 40" touch display is roughly the size of other conventional operator panels. Essentially we have replaced conventional fixed buttons with touch buttons (similar to smartphones). There are 10 different windows that an operator may want to interact with while using the machine, each of these windows can be docked in any location or floated. Multiple graphics screens can be shown simultaneously for different programs or subroutines. Camera(s) can also be mounted inside of the machine for an on screen video feed. The large screen fills up fast when you have this sort of information at your finger tips. Most operators find the standard mouse and keyboard more useful for programming parts, whereas operations such as jogging or changing tools are quicker on the touchscreen. The combination of the two input methods leads to a very productive machine. Our newly redesigned operator panel can be easily adjusted to the optimal height for operator comfort, while sitting or standing. It is also mounted on a rotate and swivel arm, allowing convenient positioning even partially inside the machine enclosure. Our CNC operator panel is the most convenient and ergonomic of any machining center available in today's market. 0.0002" / 12" 0.0002" / 12" 0.0002" / 12" 0.0002" / 12"